In the immortal words of Jack Nicholson’s President in Mars Attacks, when presented with the alien menace he simply asks: “Can’t we all just, get along?” Before being killed by a sentient hand with arm spike. But that’s not the important part. XCOM Enemy Unknown, the top down reimagining of the classic strategy game, is going to have multiplayer which allows you to create teams of human and alien forces, working together in harmony for peace and… oh no wait, scratch that. They’re trying to kill each other. It’s just they’re working together to do it. So that’s a step up, I guess. At least we have details. Details make the world better. 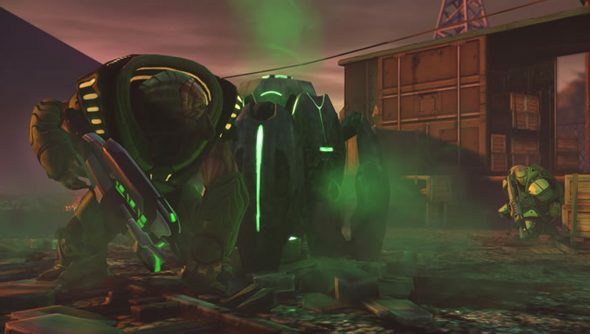 Rather than just being an afterthought once the majority of the game is done, the multiplayer in XCOM Enemy Unknown has been planned from the start, and seems to be appropriately fleshed out. The idea is that you create a squad of up to six units, each with their own point cost (so a Crysalid is more expensive than a Sectoid), until you’ve got a mean fighting force that’s ready to wreak some havoc. Then you enter a game with another player who’s done the same and find out who’s havoc wreaking skills are best. The point cap itself is modifiable so that you can create more epic matches or small skirmishes, and while there’s no details on how exactly matchmaking is going to work, or whether there’ll be any persistence between matches, it definitely seems to be heading towards the compulsive wit-battling of something like Frozen Synapse, which is only ever a good thing. As for the game itself, it’s going to be released internationally on the 12th of October, which is only two months away. At which point the entire of civilised society is going to shut down for approximately two more months while everyone tries to beat it. I’m sure the world will be fine.